Dies R Us: Things that make me happy! Today's card is brought to you by Summer! or so I'm dreaming about it being stuck in the cold, wet middle of winter in South Australia. And summer for me includes LOTS of time outdoors, eating delicious barbecues with friends. I've coloured this cute little Bugaboo stamp with Copics and used both the Spellbinders Standard Circle and Spellbinders Scalloped Circle die in a layered stack. 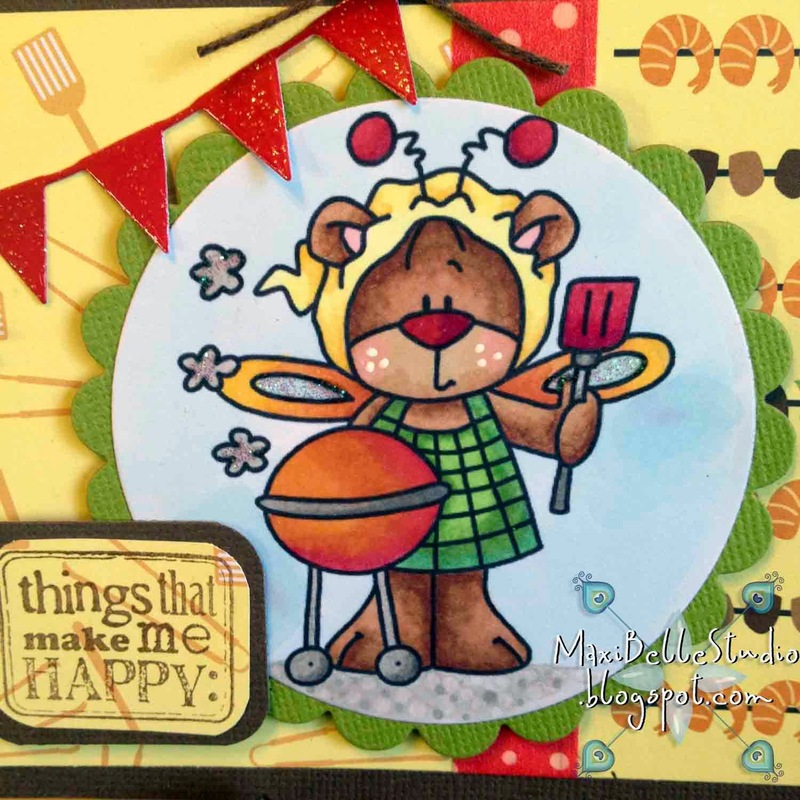 I used the Poppystamps Simple Banner with some glitter cardstock and had this gorgeous designer paper which suited the barbecue theme perfectly. A strip of washi tape and a couple of twine bows and its done. Nice, sweet and simple. If you haven't already popped over to join in the fun of our Challenge Blog, the current theme is Christmas in July! There are plenty of awesome DT creations from the talented Team A, and next week we will also be celebrating Christmas in July with a weeks worth of inspiration right here! This is so cute! And I have to agree that these are the things that make ME happy too! Love your little Bugaboo image! And the glitter banner is the perfect touch! OMG Alicia, this is too cute!!! Great job on design and coloring!